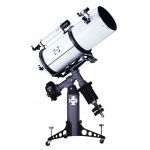 This Meade 12" Advanced Coma- Free, f/8 optical tube gives high contrast, tack sharp views across the entire field. It features an internal Crayford-style two speed micro focuser. The focuser has a rigid hold on the primary mirror that eliminates the need for a mirror lock. It includes Starlock technology allowing for fully automated guiding. 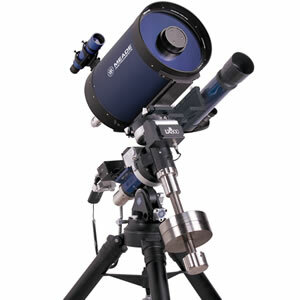 An 80mm refractor, attached to the mount's saddle plate, with a built in guide camera locks onto a guide star and focuses automatically! 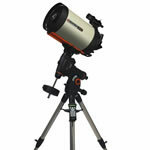 Ultra-high precision German Equatorial Mount. Accurate to 1 arc second. Starlock also automatically programs periodic error correction and corrects for any other errors down to virtually zero ensuring extremely accurate guiding. 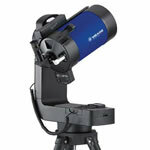 Featuring revolutionary Starlock technology, the Meade LX800 is the quintessential full-package imaging platform. 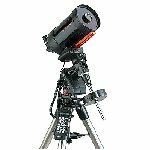 Drawing from 39 years of astronomy innovation and experience, Meade Instruments has put every feature the astrophotographer could want into one amazing bundle. 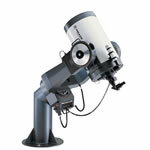 Based on the award winning ACF (Advanced Coma-Free) optical design, Meade has made the LX800 optical tubes faster and shaper. At only f/8, exposure times are dramatically shortened. High contrast baffling assures crisp images from edge to edge. Adding to the crystal clear view, an internal micro focuser offers two speeds of control at a 10:1 ratio and with an ultra solid connection to the primary mirror the need for a mirror lock is eliminated. 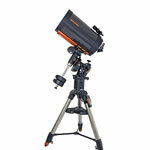 The basis of any great imaging set up, the German Equatorial mount. 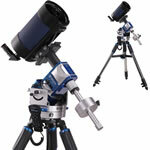 The Meade LX800 EQ is constructed of machined stainless steel and aircraft grade aluminum. 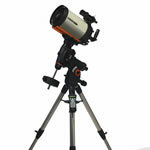 The rigorous machine quality, sturdy tripod and top grade mount materials provide a rock solid foundation. A 1.75 in. stainless steel right accession shaft ensures extra durability. Brass worm gears and 225 tooth aluminum gears ensure a smooth and precise ride. With a 90 pound instrument load capacity, the Meade LX800 mount has the muscle to easily carry large OTA and heavy imaging systems. The fully computerized GoTo system with included GPS includes a database of over 144,000 object, taking you anywhere you wish to go. 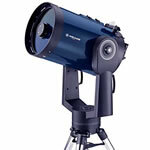 At the heart of the LX800 is Meade's Starlock Technology. Starlock makes target acquisition on your imaging sensor and accurate guiding during exposures completely automatic! Starlock utilizes a dual camera system set side by side for the most accurate readings possible. The first camera is an unobtrusive super-wide field, the second is attached to a 80mm f/5 refractor. After the assisted alignment procedure is complete, slew to a desired object and these cameras start going to work immediately capturing the a single star by which to guide. While they can read stars as dim as 11th magnitude, the brighter the star the faster and more accurately the mount will be able to guide to an accuracy of 1 arc second. With this built in two camera system, there is no need for focusing, guide star selection, a separate computer or guider. Starlock will even program periodic error correction and correct for other errors automatically. For those in search of extreme tracking and guiding precision, Starlock will also provide a fully assisted drift-method polar alignment.